HOT: AFTER KARTHI, MANI RATNAM'S NEXT HERO FINALIZED? Director Mani Ratnam is right now busy with Karthi starrer Kaatru Veliyidai. But there is something very exciting in Tollywood circles about his next project. As per the buzz in Telugu land, Mani Ratnam is likely to direct Ram Charan for his next. It is alleged that the director and the actor had on earlier occasions tried to collaborate but it did not happen. However, reports suggest that they may team up now for a Mani Ratnam style action commercial entertainer. 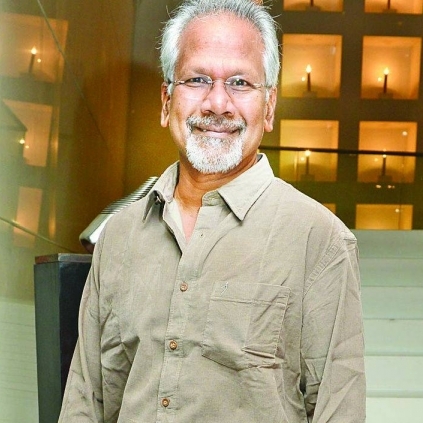 As regards Mani Ratnam, the usual pattern is that the director would start a new project only after he completes an ongoing one. Hence it comes across as a surprise to hear about the director’s next when his film Kaatru Veliyidai is happening now. When we contacted Mani Ratnam's side for a clarity on this, they denied this completely and said there is no truth in this. Sundar C’s big move with Baahubali character! Conjuring director wants a Hollywood actor to speak in Tamil! Trisha is coming to catch U! People looking for online information on Kaatru Veliyidai, Mani Ratnam, Ram Charan will find this news story useful.